This article is an extension to the article titled “Drawing driving route directions between two locations using Google Directions in Google Map Android API V2“. In this application, the first two touched positions in the Map is start point and end point respectively. Also user is allowed to input upto 8 waypoints which is the maximum limit allowed to the non-business users of the Google Map. After entering the required waypoints, on clicking the button “Draw Route”, a route from start location to end location including the waypoints will be drawn in the Google Map Android API V2. 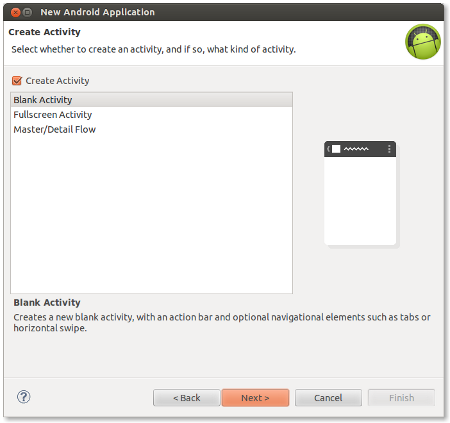 A screenshot of the application is available in the Figure 7. 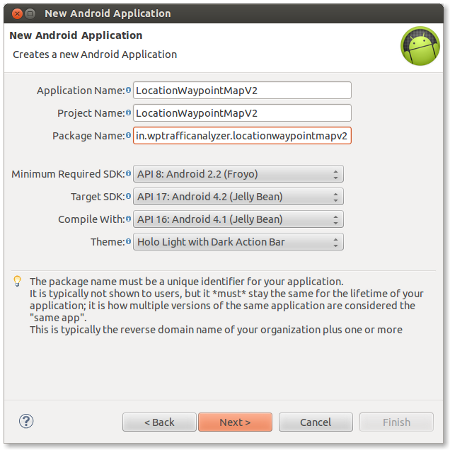 This application makes use of Google Map Android API V2 and Google Directions API. 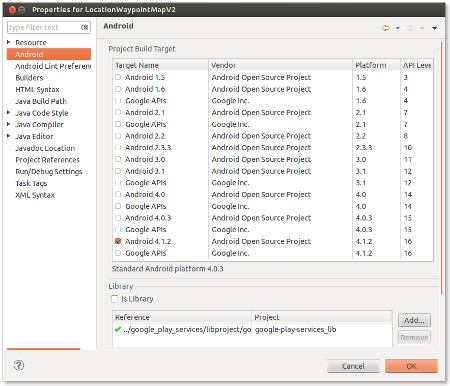 This application is developed in Eclipse (4.2.1) with ADT plugin (21.1.0) and Android SDK (21.1.0) and tested in a real Android device (Android 2.3.6 - GingerBread ). // Already 10 locations with 8 waypoints and 1 start location and 1 end location. I found this tutorial nice. I need one help. I want to add polyline between two points but it should be not straight but should be look like arc like flight route. (it should be like arc for short distance line, i know .geodesic(true) but its only work for long distance polyline.) can you please help me on this. how can i create url for json data ? plz help me. am only able to create direction with only on straight line. but what i need is same output of yours. I found it very interesting and instructive this Article. Congratulations. I have a question: please tell me how do I change the color of the line between two points. I tried to change them, but the last color remains for all lines of all points. No error is displayed by the IDE (Eclipse ADT v22), all generated sources are available. I can’t test, but your source code is very useful, tanks ! I would like to ask you, if it is possible to add a static destination and calculate the rout from your current position(which is obtained via GPS) to the destination? If it is possible, could you please tell me where to set the coordinates of the destination and what coordinate form should i use. I want to say thank very much. I want to create applications using the point first marker (Green marker) as a starting point, and show driving distance and travel time duration all point (all marker),can you please help me on this. the only difference is that I have compiled with API 17, Android 4.2 and tested in a samsung galaxy note I (with 4.1.2 I think). My problem is to draw a route given a vector of waypoints. But I want to learn what are you doing. I’m working on a little school project, and I read your tutorial about the map fragment support last week, that’s great! Now I’d like to load a simple path froma a KML file on the map but I don’t know can I do it. I wrote a simple class following different tutorials but it doesn’t work. The KML file is in the SD-Card so it’s local.. I can parse it using a JSON script but I don’t know how to show it! George, can you give mevsome advice or tutorial about waypoints between two places from our coordinate in sqlite database..we choose them from two spinner.. The above demo didnt work for me. It ran into infinite loop in ParserTask. 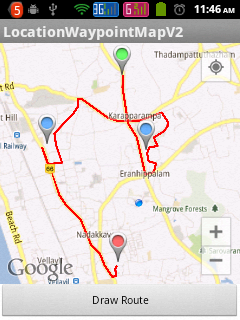 I try this but when i add a 20 or more waypoints then its show circular route at particular position. Is there any solution for this ???? can you tell me how to order the waypoints in the url parameters? Hello George: I am using this but at getSupportMapFragment. It shows error. It can’t that function on both cases. Can i use anything else? Hello, thanks for great tutorials. But problem is that i can not find any tutorial how to draw bus route((, exactly route of all buses in my city, i do not have any ideas how to implement that. Could you help me? 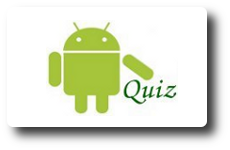 I am new in android programming..
Great tutorial but I have a question.. 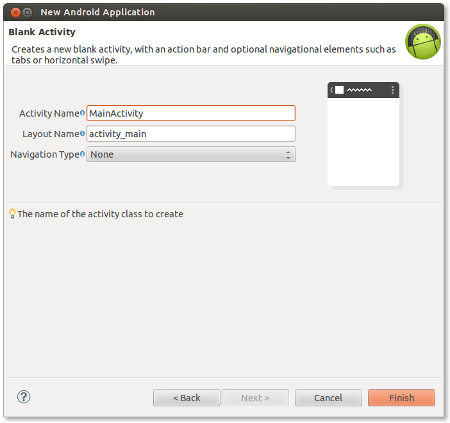 If I want draw all point of waypoint passed through the URL, how I should change the class “DirectionsJSONParser” ? Thanks for great tutorials.But plz tell me how to find shortest distance between two or more locations form my current location. can you please help me, how to move a car exactly on that routed map. Because my, my location blue button is not accurate. Thank you very much for this tutorial – really excellent! I would like to retrieve between place as a Json format for particular application ? How can be done this ? Excellent ! Just a quick question… Can we make the route editable by dragging the route to pass through a different point? Your help will be highly appreciated ! I want to ask you how to draw route on multiple location? like i have P1 to p2, p2 to p3 in this way i want to draw markers. again p2 is my start and p3 in my destination in continous manner. Draw an Infinite Route With Multiple Locations on Google Maps ? May i know, what is meant by infinite route? How to draw a path for More than 10 way points. this is really really a nice tutorial. 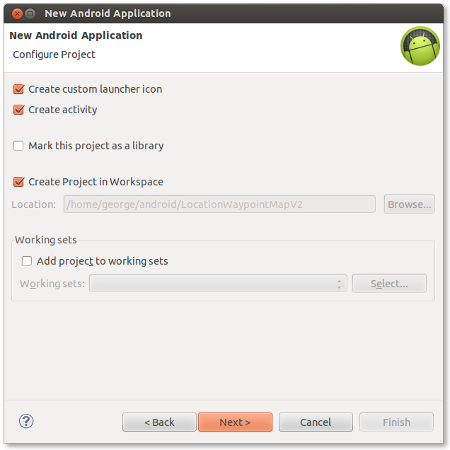 as of now it is not working for me as i am using android studio and getting java.lang.RuntimeException: Unable to start activity ComponentInfo bascially error generated from setContentView(R.layout.activity_main);. I am trying to figure out the mistake. I am looking your suggestion, working on a project to find out the route names using starting and destination latitude & longitude. do we have any method which return names? please help me develop app in which user gave source and destination addresses and then click button to coloring line and marks between them. - Draw route button is not displayed. Gran tutorial pero una pregunta como puedo mas waypoints que sean como unos 18 o hasta 28 para poder hacer una ruta mas larga si me puedes ayudar ya que modifique el tamaño que pones en markerponit de 10 a 20 pero al momento de crear la ruta me cierra la aplicacion. gracias espero tu respuesta. Great tutorial but a question like I can more waypoints that are as about 18 or even 28 to make a longer route if I can help as resize you put in markerponit 10 to 20 but when creating the route closes me the application. I hope your answer thanks .